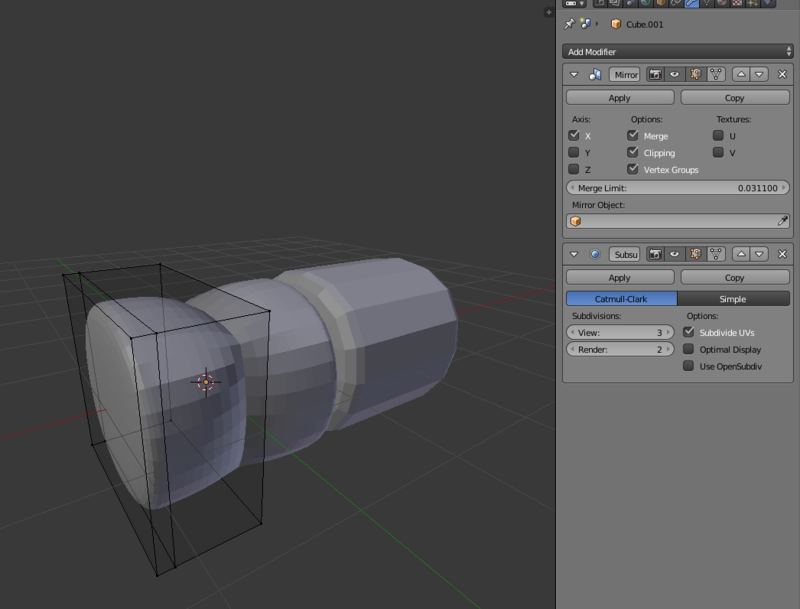 The object on the left is my attempt using the mirror modifier, and the object on the right is an object with the same geometry, without using mirror. That's what I expect it to look like. What's going wrong? Thanks in advance! Browse other questions tagged modeling mirror or ask your own question. Why doesn't the mirror modifier work with object groups?